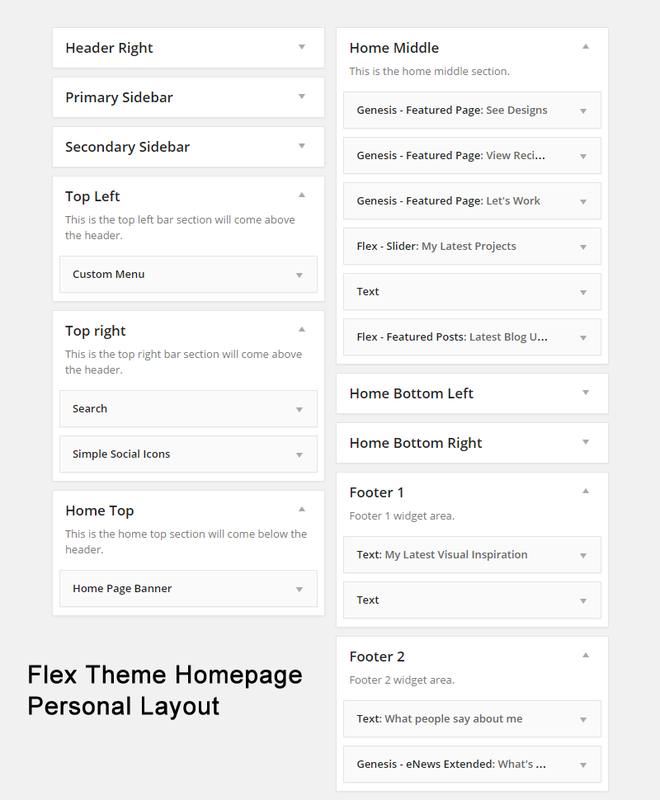 Note: Creating a different homepage layout in the Flex Theme does NOT involve selecting a post template. A simple drag and drop of selected widgets should do the trick. Above is the screenshot of various widgets added in different widget areas to create the Flex Personal layout. To get started, go to Appearance > Widgets in the WordPress Dashboard. 1. Top Left: To display the menu navigation in this section, add a ‘custom menu’ widget and then select a specific menu from the drop down box. 2. Top Right: Add a search widget and a ‘Simple Social Icons’ widget in this widget area. You must install Simple Social Icons plugin for this functionality. 1. Home Top: Add a ‘Home Page Banner’ widget to this widget area. In widget settings: add background image url, content, button details and select ‘full width’ option. 2. 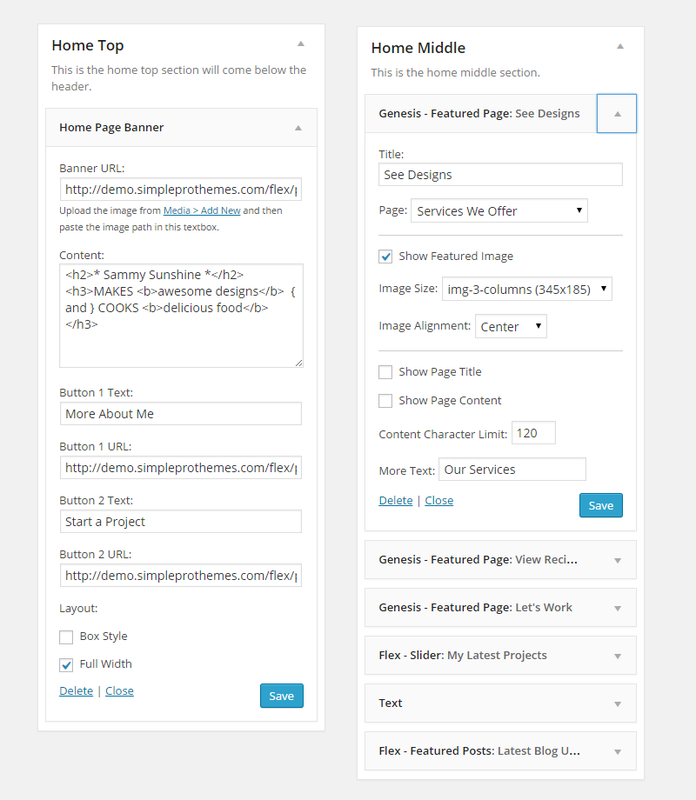 Home Middle: Add a’Genesis – Featured Page’ widget to the home middle widget area. Add upto 3 such widgets and they should align automatically in a three column structure. Then add a ‘Flex – Slider’ widget and a text widget with call to action code. Lastly, add a ‘Flex – Featured Post’ widget where the 4 column layout and pagination options are selected. Home Bottom Left and Home Bottom Right widgets are left empty. 2. Footer Widgets: Go to Appearance > Customize and change number of footer widgets to 2. Then add required widgets to footer widgets 1,2 areas.